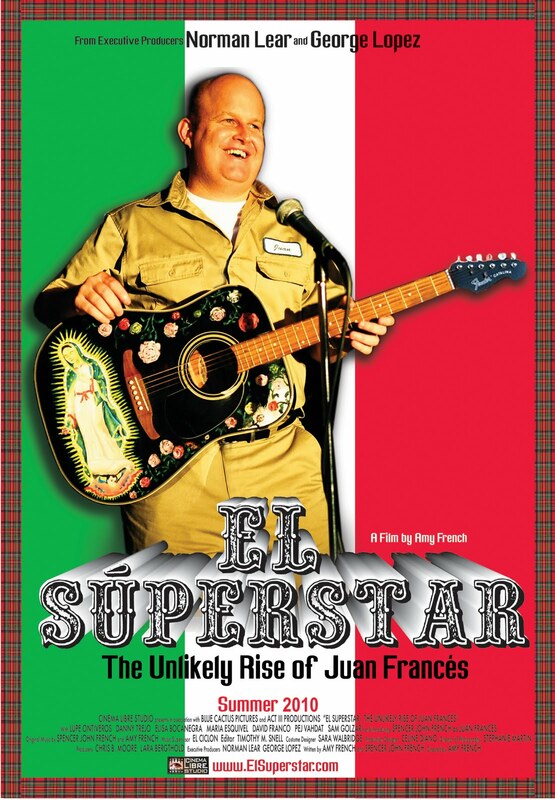 DVD Spotlight | "El Superstar: The Unlikely Rise of Juan Frances"
Over the years, Christopher Guest has basically cornered the market on the mockumentary genre. 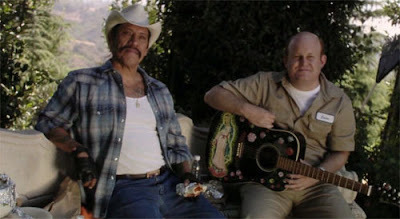 But in her directorial debut, Amy French makes a decent stab at it in El Superstar: The Unlikely Rise of Juan Frances, an agreeably silly look at an overweight, balding white man who, after being raised by his Mexican nanny, decides to become a folk singer, fancying himself the voice of his people with the heart of a migrant worker. As he rises to fame, however, he begins to leave his roots as the call of glamor and fortune beckon, becoming something more akin to a Latin gangsta rapper than a Mexican folk singer, before he eventually comes to terms with who he really is. French is certainly no Christopher Guest, but she delivers some laughs here and a few punches to the gut of musical self-importance and selling out. Her cast is also game, turning in some amusingly earnest performances that sell French's central conceit. It's a relatively minor film, but French shows promise and El Superstar may well be a stepping stone to greater things. She obviously has an eye for sly, deadpan comedy. Hopefully she will continue to find her voice as her career progresses. EL SUPERTSTAR: THE UNLIKELY RISE OF JUAN FRANCES | Directed by Amy French | Stars Spencer John French, Lupe Ontiveros, Danny Trejo, Elisa Bocanegra, Maria Esquivel, David Franco | Not Rated | Debuts on DVD Tuesday, January 18th, from Cinema Libre.